Ceanothus thyrsiflorus repens is a very small evergreen tree with panicles of pretty blue flowers that are popular with bees. It flowers through spring to early summer, whilst the glossy green foliage provides interest throughout the year. 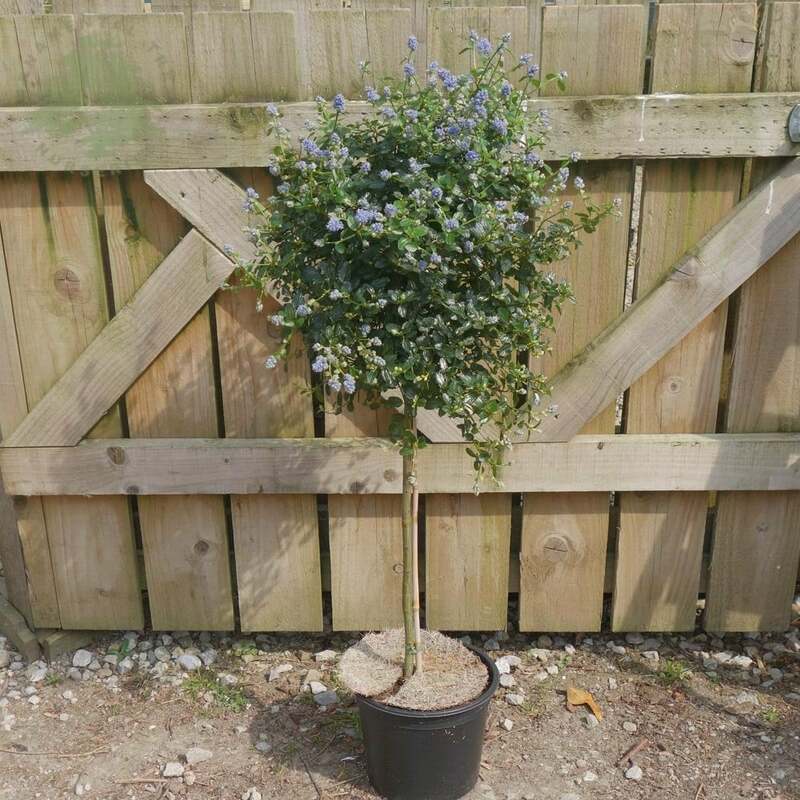 Growing naturally as a spreading shrub, we have also grown Ceanothus repens with a clear stem to create a wonderful little lollipop tree. It is ideal for container planting or in borders to provide year round interest. Ceanothus require a fairly well drained soil in a sunny situation, that is not exposed to drying winds.